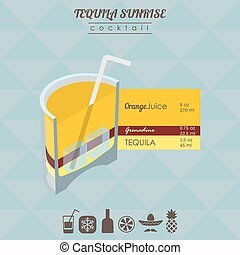 Vector set of layered Orange Cocktail: 3 shiny glasses with alcohol cocktail tequila sunrise, fresh orange juice with pulp, cold cocktail alabama slammer with straw on white. 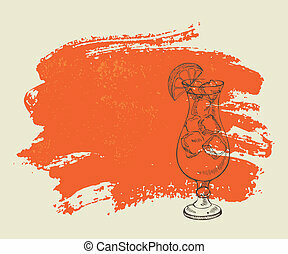 Vector illustration of alcohol Cocktail Margarita: garnish of sliced lime and salt on glass of mexican tequila cocktail, logo with green title - margarita, classic mocktail drink on white background. 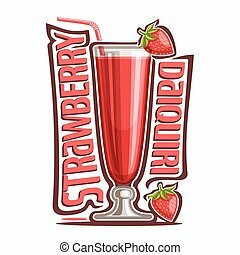 Vector illustration of alcohol Cocktail Strawberry Daiquiri: garnish of red berry on glass and straw in tropical cocktail, design logo with pink title - strawberry daiquiri, mocktail drink on white. 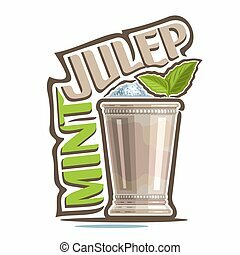 Vector illustration of alcohol Cocktail Mint Julep: garnish of green leaves in old silver cup, kentucky derby cocktail with heap of crushed ice, logo with title - mint julep, mocktail drink on white. 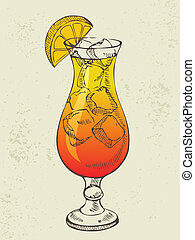 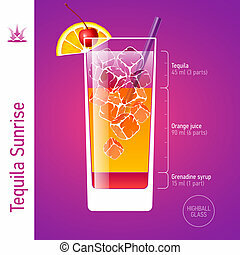 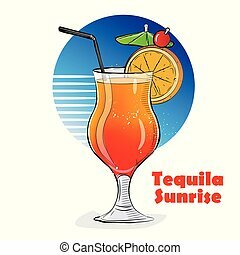 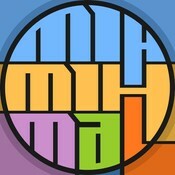 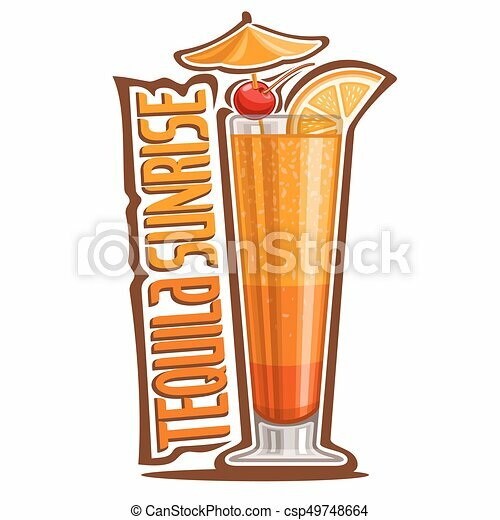 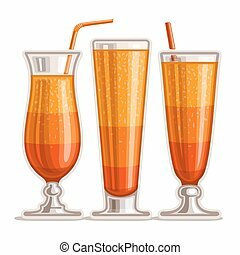 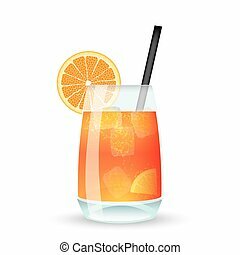 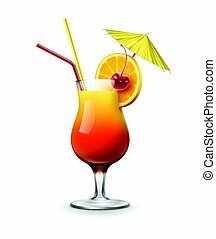 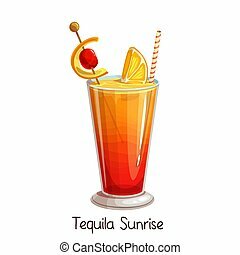 Vector illustration of alcohol cocktail: glass with layered summer tropical cocktail, logo with lettering font title, exotic orange long drink on white background. 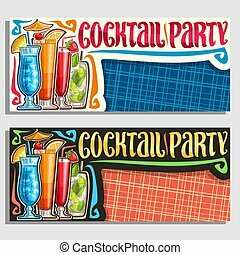 Vector banners for Cocktail Party with copy space, layouts invitation with 4 colorful refreshing mocktails, original brush typeface for words cocktail party, set of alcoholic drinks with ice cubes. 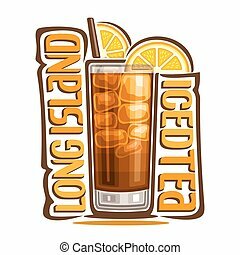 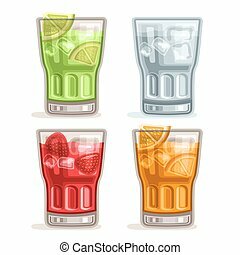 Vector illustration of alcohol Cocktail Long Island Iced Tea: lemon slices garnish on glass of cocktail with cola, logo with title - long island iced tea, sweet cold mocktail drink with cubes of ice. 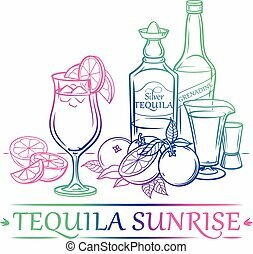 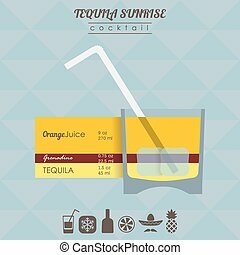 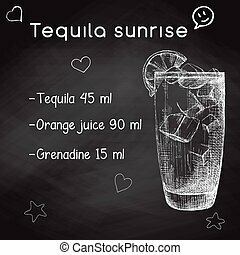 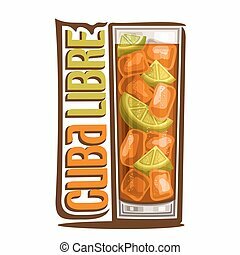 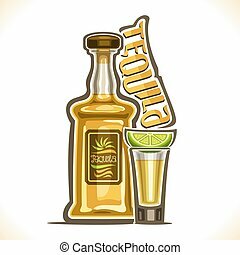 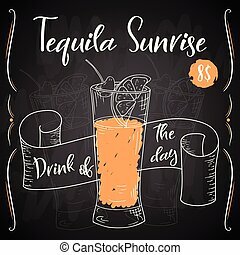 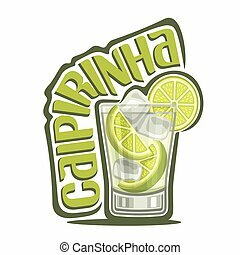 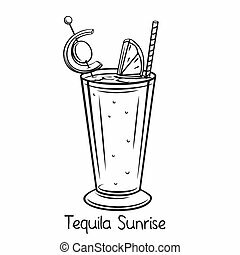 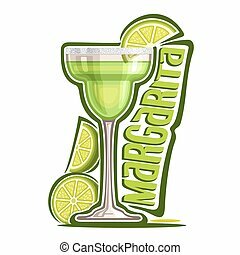 Vector illustration of alcohol drink Tequila, yellow bottle of luxury mexican cactus booze, full shot glass with slice of citrus, original typeface for word tequila, outline composition for bar menu. 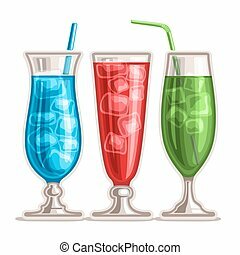 Vector set of colorful Cocktails: 3 tall glasses with alcohol cocktail blue hawaiian, drink strawberry mojito, fresh green mint mocktail with ice cubes, cold cocktail blue lagoon with curacao liquor. 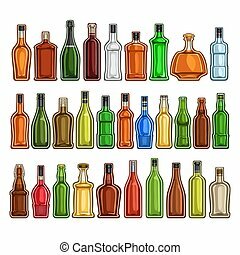 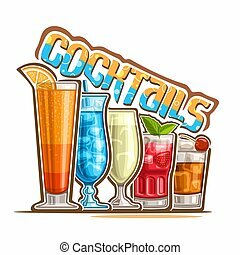 Vector illustration of set colorful refreshing Cocktails in a row, poster with original typeface for word cocktails, 5 alcoholic drinks with ice cubes and fruit garnishes, cocktail bar logo on white. 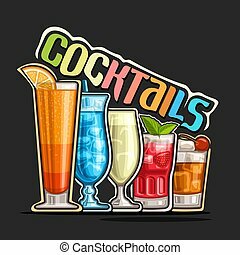 Vector illustration of set colorful refreshing Cocktails in a row, poster with original typeface for word cocktails, 5 alcoholic drinks with ice cubes and fruit garnishes, cocktail bar logo on black.